Prince William and Duchess Catherine of Cambridge, accompanied by the Prince Charles and Duchess Camilla of Cornwall, attended the Annual Diplomatic reception hosted by the Queen at Buckingham Palace on the evening of the 5th of December. 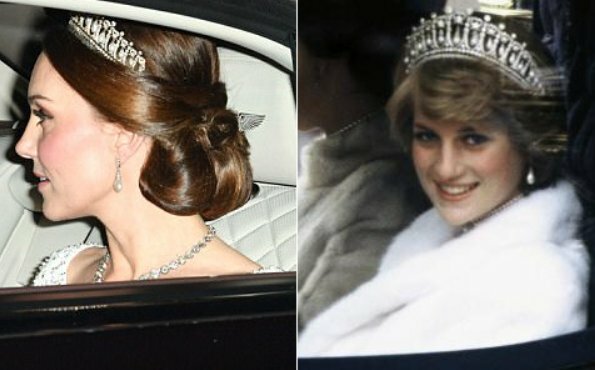 Still get a tinge of sadness to see Diana's jewelry on someone else. It must bring William comfort in some way. Only Diana´s jewelry here are earrings. 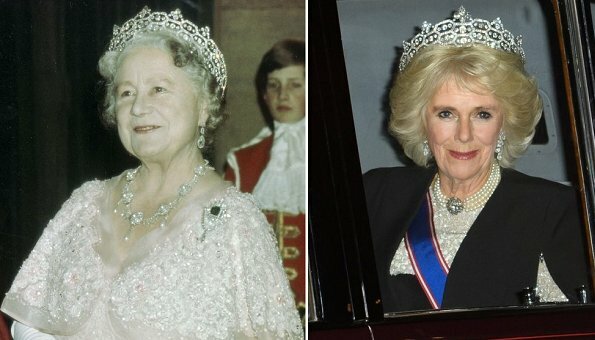 Tiara was just a loan from the Queen. Catherine's hair arrangement is beautiful. stop talking of Diana, she is not here anymore. And she was a normal person, not a god. I totally agree. It's Catherine's moment. She's a very bright, compassionate, beautiful woman trying to do her job. Let it be. A mother who seems to be doing a great job. So sad that some people only see her in her mother-in-law's shadow. Bravo Catherine! She was a wife and a mother who did much good around the world. Diana still is in a lot of peoples hearts. Of course she was not a goddess, but someone who did a lot of good work, as Patricia already mentioned. I do not know why talking about Diana should mean seeing Catherine in her shadow? I liked Diana and I like Catherine. I don't see any reason to compare them. I am so glad Catherine turned her head so we could see the back of her updo. That's beautiful! Elegant and stylish Duchess of Cambridge, but Camilla looks terrible in the photograph. 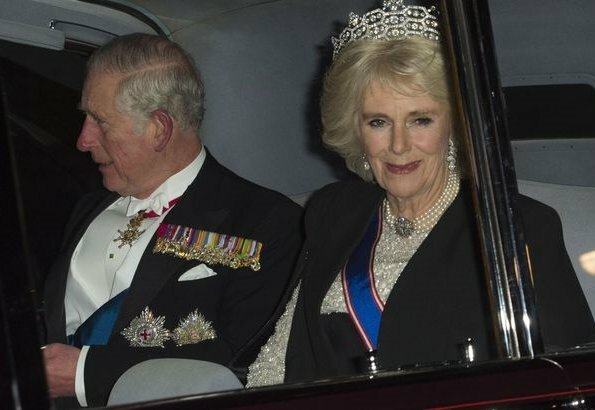 Camilla is 70 years old and she never was a fashion victim. I mean she always was herself. Nowadays she dresses as a duchess in her age. It seems you forget or never heard of that women over 60 change a lot. It is called menopause. One can avoid the consequences of it, it needs only money and hormone injections. What if she does not like the idea? Maybe she can live together with her wrinkles and changed body shape. What is more she seems happy.